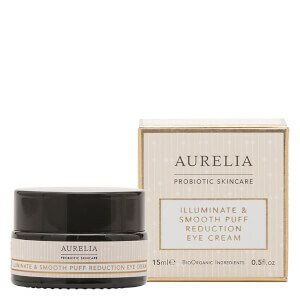 Rejuvenate skin whilst you sleep with the Cell Revitalise Night Moisturiser from Aurelia Probiotic Skincare. Suitable for even sensitive skin, the overnight treatment blends replenishing Borage Oil and firming Kigelia Africana to hydrate and soothe dull, dehydrated skin, revealing a smoother, more refined complexion with restored luminosity. Fast-absorbing and non-greasy, the nourishing cream combines antioxidant Hibiscus and omega-rich Baobab to fight free radical damage and environmental aggressors, whilst fighting premature signs of ageing and restoring a radiant, dewy appearance. Delivers a luxurious fragrance of Neroli, Lavender, Rose and Mandarin Essential Oils. Apply cream with fingertips to the face, neck and décolletage. 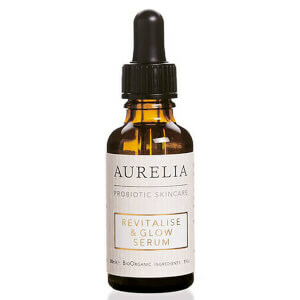 Massage in to boost circulation and achieve the ultimate radiant glow. Aqua/Water (Purified Water), Aloe Barbadensis Leaf Extract (Aloe Vera), Glycerin (Vegetable Glycerine), Bifida Ferment Lysate (Probiotic Culture), Butyrospermum Parkii (Shea Butter), Myristyl Myristate (Coconut Derived Emollient), Coco-Caprylate (Coconut Based Emollient), Cocoglycerides (Emollient From Coconut Oil), Glyceryl Stearate SE (Natural Triglycerides & Emulsifier), Cetearyl Alcohol (Natural Based Thickener), Rhus Verniciflua Peel Wax (Berry Wax), Borago Officinalis Seed Oil (Borage Oil), Rosa Damascena Extract (Rosehip Oil), Lactis Proteinum/Milk Protein (Probiotic Protein), Kigelia Africana Fruit Extract (Botanical Kigelia Africana), Hibiscus Sabdariffa Flower Extract (Hibiscus Flower), Adansonia Digitata Fruit Extract (Botanical Baobab), Persea Gratissima Oil (Avocado Oil), Prunus Armeniaca Kernel Oil (Apricot Oil), Schinziophyton Rautanenii Kernel Oil (Botanical Ubuntu Mongongo Oil), Panthenol (Pro-Vitamin B5), Xanthan Gum (Natural Source), Tocopheryl Acetate (Vitamin E), Sodium Stearoyl Glutamate (Corn-Derived Emulsifier), Glyceryl Caprylate (Derived From Coconuts), Lauroyl Lysine (Amino Acid), Citrus Aurantium Dulcis Flower Oil (Neroli Essential Oil), Citrus Nobilis Peel Oil (Mandarin Essential Oil), Lavandula Angustifolia Oil (Lavender Essential Oil), Rosa Damascena Flower Oil (Rose Damascena Essential Oil), Mannitol (Natural Sugar), Sodium Citrate (Natural Ph Regulator), Acetyl Tetrapeptide-15 (Anti-Inflammatory For Sensitive Skin), Benzyl Alcohol (Preservative), Dehydroacetic Acid (Preservative), Sodium Phytate (Natural Origin), Citric Acid (Fruit Derived Ph Regulator), Limonene*, Linalool*, Citronellol*, Geraniol*, Hydroxycitronellal*, Citral*. (*naturally occurring in essential oil). Bought this based on Good Housekeeping review. Have used for a couple of weeks; does have a nice creamy texture and blends in easily without feeling greasy. Nice smell too. In terms of results can't say I've noticed any change, my skin doesn't feel any different but will carry on using. 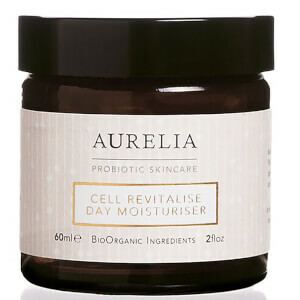 The best night moisturiser ever and I've tried lots!! 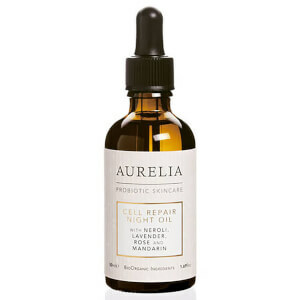 Combined with cell repair night oil its luxurious and gives my skin a fantastic feel and glow. Heaven.